Our methods of manual therapy take functional approach to treatment and rehabilitation. As our patient, you will receive the most up-to date treatments to promote recovery and healing FASTER so you can get back to your life. We also have an extensive prevention program so we can help minimize your injury if you do get one. “For almost a year, a tear in the labrum in my shoulder was making it more and more difficult for me to get dressed, put on my seat belt, and to reach for objects. The range of motion in my right arm became extremely limited and movement caused pain to travel down the right side of my body. 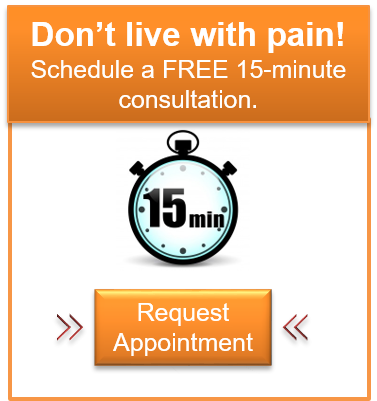 We take a functional approach to your pain relief treatment and rehab. As our patient, you will receive the most up-to date treatments to promote recovery and healing FASTER so you can get back to your life. We also have an extensive prevention program so we can help minimize your injury if you do get one. Our focus is on YOU, the patient. We deliver one-on-one care, optimizing a program targeted to your needs and your goals!